Nice little public park. Great for the locals and street guys. Lots of little hips to blast airs over. Small bowl for some mini-ramp action. The skatepark grand re-opening and ribbon-cutting was on June 16th and after a two-year closure, the park was again open to the skating public! 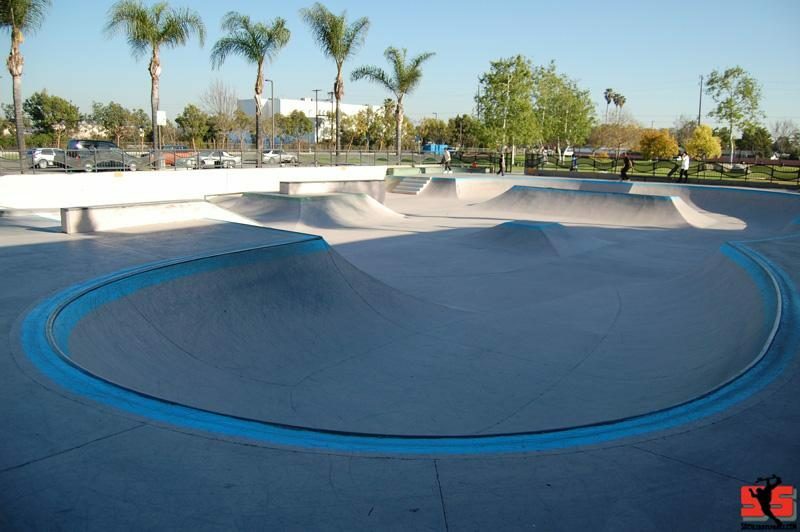 The skatepark has been cleaned-up, re-painted and a number of other improvements to the park are planned for the future. In addition to normal police patrols, City volunteers are also regularly scheduled at the park to monitor activity and to assist in keeping the facility clean and in good repair.